Our part number: S7137. VAUXHALL OPEL. COLOUR IS YELLOW. Set Includes;. Rest of the world. 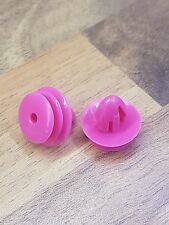 ORIGINAL PART NUMBER. HYUNDAI TUCSON 2009 2.0D CRDi VGT 150BHP. OTHER CONSIDERATIONS. ANY COMPATIBILITY GIVEN SHOULD BE USED AS A VERY GOOD GUIDE 'ONLY.'. We will do our utmost to avoid this from happening. We try to note anything you would want to know about its condition outside of what you'd expect for its age. We set up in 2016 to provide good quality products at an affordable price for all. They are used to secure the door card in place. Equivalent to OEM 82315-2P000 part number. HYUNDAI i10 MK2 2013- PASSENGER NEAR SIDE REAR DOOR PANEL. HYUNDIA I10. PA20 - 38, 41 - 49, 60 - 78. RIGHT FRONT DOOR. GENUINE NEW. IV1 - 28, 30 - 32, 36 - 48, 51 - 56, 63. AB31 - 38, 40 - 56. INTERIOR CARD. PH4 - 41, 49 - 50. Vehicle Colour L Front Door. Trim Level CRDI ACTIVE BLUE DRIVE. Other Details Number Of Doors. HYUNDAI COUPE (2006 - 2010) GK Facelift 2, 2.0 SIII. THIS PART IS FROM THE S3 2ND FACELIFT MODEL. OTHER CONSIDERATIONS. We will do our utmost to avoid this from happening. ANY COMPATIBILITY GIVEN SHOULD BE USED AS A VERY GOOD GUIDE 'ONLY.'. 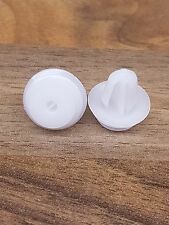 Photo is of actual item. We set up in 2016 to provide good quality products at an affordable price for all. Vehicle Colour R Rear Bare Door. Trim Level CRDI ACTIVE BLUE DRIVE. Other Details Number Of Doors. HYUNDAI COUPE (2006 - 2010) GK Facelift 2, 2.0 SIII. THIS PART IS FROM THE S3 2ND FACELIFT MODEL. We will do our utmost to avoid this from happening. ANY COMPATIBILITY GIVEN SHOULD BE USED AS A VERY GOOD GUIDE 'ONLY.'. HYUNDAI COUPE SE 2.0 LITRE PETROL 2005 MODEL. DRIVERS SIDE FRONT DOOR CARD. 2 DOOR 5 SPEED MANUAL. AJ SPARES is a large independent Vehicle Dismantlers. South Yorkshire. The Blue Containers. 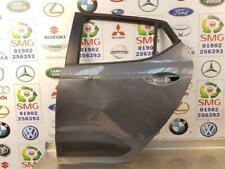 (HYUNDAI I30 Door Panel 0000355083. Other Details: Mk2 GD Right Front 12-16 Year O/S Front Colour Code BLACK [RY] 82302A6540RY. Jersey, Guernsey, Scilly Isles) as well as for the Scottish Highlands. AB30-38, AB44-56, FK17-99, G83, IV1-28, IV30-39, IV52-54, IV63, KW1-14, PA21-33, PA34-40, PH18-26, PH30, PH31-41, PH49-50. PART: 2018 Hyundai Tucson MK2 Estate RH OS Driver Side Rear Door Card Panel PART NUMBER: 83302 D7110TRY ADDITIONAL COMMENTS: N/A WARRANTY (PARTS ONLY): 3 MONTHS – FREE 6 MONTHS – AN ADDITIONAL 10% OF BUY IT NOW PRICE 12 MONTHS – AN ADDITIONAL 20% OF BUY IT NOW PRICE NO WARRANTY INCLUDED ON CORE UNITS (ENGINES & GEARBOXES) WE DO NOT OFFER EXTENDED WARRANTIES ON PARTS THAT HAVE BEEN ACCEPTED AS A BEST OFFER FAILURE TO SUPPLY ANY EXCHANGE ENGINES OR GEARBOXES WILL INVALIDATE YOUR WARRANTY WE DO NOT COVER ANY LABOUR COSTS EXCHANGES: ENGINES, GEARBOXES & DPFs/CATs ARE SOLD ON AN EXCHANGE BASIS – PLEASE MESSAGE US THROUGH EBAY AND WE WILL COLLECT THE CORE UNIT FREE OF CHARGE RETURNS: ALL RETURNS MUST BE PROCESSED THROUGH EBAY IF YOU WOULD LIKE TO REQUEST A RETURN: 1. • 03 Hyundai Coupe 2.7 V6 Petrol. engine:2.7 Petrol. colour: Blue. Cloth interior. Manual 6 speed Gearbox. MATRIX - RHD. L Front Door. Trim Level Other Details Number Of Doors. VEHICLE REF: EJ65. THIS DOES NOT INCLUDE NI, ROI, HIGHLANDS OR OFFSHORE ISLANDS. A FULL PALLET WILL HOLD A FULL SET OF CAR SEATS. THERE ARE ALSO 3 DIFFERENT SIZES IN PALLETS. FULL PALLET, HALF OF A PALLET AND A QUARTER PALLET. FULL PALLET HALF PALLET QUARTER PALLET. HALF OF A PALLET WILL HOLD ENGINES AND GEARBOXES. HYUNDAI i30 MK2 2012- PASSENGER NEAR SIDE REAR DOOR SHELL. HYUNDAI I20 1.2 LITRE PETROL 2011 MODEL. PASSENGER SIDE FRONT DOOR CARD. 3 DOOR HATCHBACK 5 SPEED MANUAL. PART NUMBER - 82303-1J152NAC. AJ SPARES is a large independent Vehicle Dismantlers. The Blue Containers. HYUNDAI i30 MK3 2017- PASSENGER SIDE REAR DOOR CARD COVER 83302-G4010TRY. We set up in 2016 to provide good quality products at an affordable price for all. They are used to secure the door card in place. Ix35 2010 To 2013. Premium CRDi1.7 6 Speed Manual Diesel 5 Door 4x2Doorskin Rear RH With Part Number “Great Bridge Parts” has high reputation for both quality and service and believes itself to be the market leader in vehicle recycling in West Midlands. 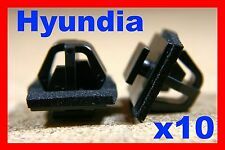 HYUNDAI i10 MK1 PA DRIVER SIDE FRONT DOOR INTERIOR HANDLE 82623-0X000. HYUNDAI I20 1.2 LITRE PETROL 2013 MODEL. DRIVERS SIDE REAR DOOR CARD. 5 DOOR HATCHBACK 5 SPEED MANUAL. INTERIOR CODE - RY. AJ SPARES is a large independent Vehicle Dismantlers. South Yorkshire. The Blue Containers. INNER PANEL Hyundai Kona 2017On SE T-GDi PS FRONT DOOR CARD & WARRANTY - 7363694 Please be aware this part is used, previously fitted second hand item. There may be some cosmetic scratches and or marks. Please view all images. All parts are supplied with a 6 Month Guarantee (Please view our Terms of Sale) The information below shows details of the donor vehicle. This is to be used as a guide only. Any mileage information shown is not guaranteed. Please be aware this part is used, previously fitted second hand item. There may be some cosmetic scratches and or marks. Please view all images. All parts are supplied with a 6 Month Guarantee (Please view our Terms of Sale) The information below shows details of the donor vehicle. This is to be used as a guide only. Any mileage information shown is not guaranteed. HYUNDAI I20 1.2 LITRE PETROL 2013 MODEL. PASSENGER SIDE FRONT CARD. 3 DOOR HATCHBACK 5 SPEED MANUAL. AJ SPARES is a large independent Vehicle Dismantlers. South Yorkshire. The Blue Containers. This part was removed from a Right Hand Drive Vehicle. Compatibility is a guide only. Your item will need to be signed for. Door Panel. TRIM LEVEL. 1.0 Petrol 5 Speed Manual 5 Door. Right Front, 5 Door. HYUNDAI TUCSON 2.0 CRDI 04-09' NSF FRONT LEFT PASSANGER SIDE DOOR CARD 82310-2E000 / 82301-2E600, AS PICTURED. MAKE AND MODEL: HYUNDAI TUCSON 2.0 CRDI 5 DOOR ESTATE 4WD. THIS ITEM SHOULD BE COMPATIBLE WITH FIRST GENERATION TUCSON 2004 - 2009 YEAR IF PART NUMBER MATCHES. HYUNDAI I20 1.2 LITRE PETROL 2009 MODEL. PASSENGER SIDE FRONT DOOR CARD. 3 DOOR HATCHBACK 5 SPEED MANUAL. AJ SPARES is a large independent Vehicle Dismantlers. South Yorkshire. The Blue Containers. This part was removed from a Right Hand Drive Vehicle. Compatibility is a guide only. Your item will need to be signed for. Door Panel. TRIM LEVEL. Part Number. 1.0 Petrol 5 Speed Manual 5 Dr. In the event that a part is supplied and proven to be incorrect or faulty, Manor Auto Salvage must be notified within 48 hours. A collection can then be arranged. Engines must be fitted with new oil, filters and timing belt or chain. HYUNDAI I10 1.2 LITRE PETROL 2014 MODEL 5 DOOR HATCHBACK 5 SPEED MANUAL. DRIVERS SIDE FRONT DOOR CARD. INTERIOR CODE - PYN. AJ SPARES is a large independent Vehicle Dismantlers. South Yorkshire. The Blue Containers.